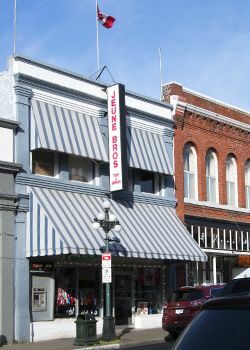 Come down to the showroom at 570 Johnson Street, right beside Market Square and sample our wares! 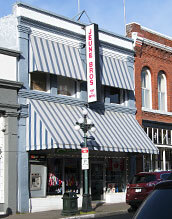 Jeune Bros. has a full-service retail outlet for all your fabric and fastener needs. Vinyl, Canvas, Thread, Snaps, Zippers, Buckles, Webbing, Velcro, and much more... and of course, FLAGS! We are the island's oldest flag shop with flags from every country around the globe and can also design a custom flag for your group or organization.